My Heartfelt thanks goes to my great friend in pastel and art; Urania Christie Tarbut, for her kind words and wonderful testimonial. Urania is without doubt one of the brightest lights in the pastel fermament; founder of IAPS; the International Association of Pastel Societies, but to me a great friend and confidant, and a wonderful artist. Today I reflect on my vision of uniting the world of pastel when I formed the International Association of Pastel Societies (IAPS) in 1994. At that time little did I know that my dream would later surround the world and unite thousands of pastel artists in their own dreams of artistic endeavor. Pastel artists over the globe are now sharing their dreams and holding hands in friendship and the exchange of ideas with the pastel medium. One such artist is Heather Harman, a professional artist who obtained her art credentials at a very early age, and held her first pastel one woman shows in 1975 in her home country England. She started to seriously teach the medium in 1989. 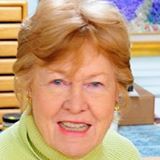 She is noted for having completed possibly the first modern day research into the history of pastel in University in 1990-3 and she continues to teach and share her talent with thousands of grateful students. I first met Heather through face book, instantly bonding through our mutual desire to raise the pastel medium to its proper position in the world of art. We both agree; access to pastel tuition is sporadic and sparse worldwide. 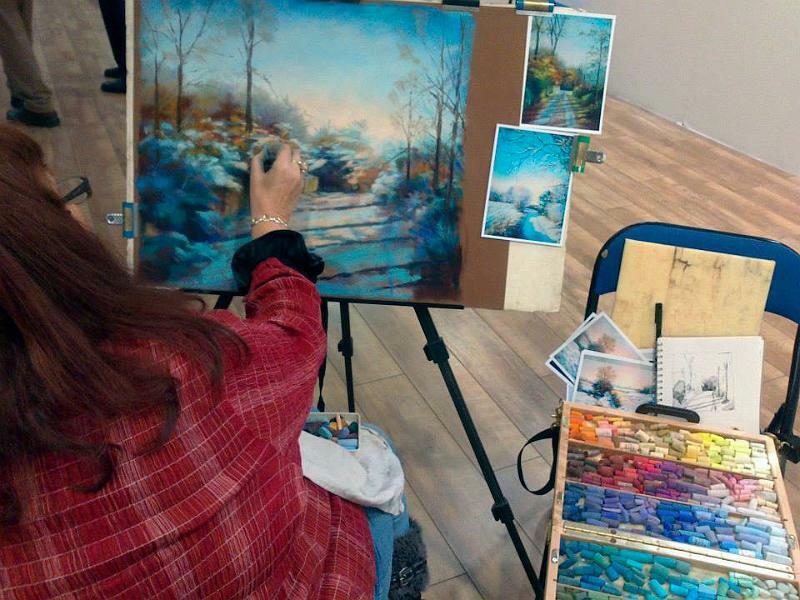 Workshops with individual pastelists are location dependant – but full ‘courses’ are rare indeed. Now with the benefit of the internet, she is now rising to an even higher plane of the founding of a new concept, that of the formation of ‘The Pastel Academy’. 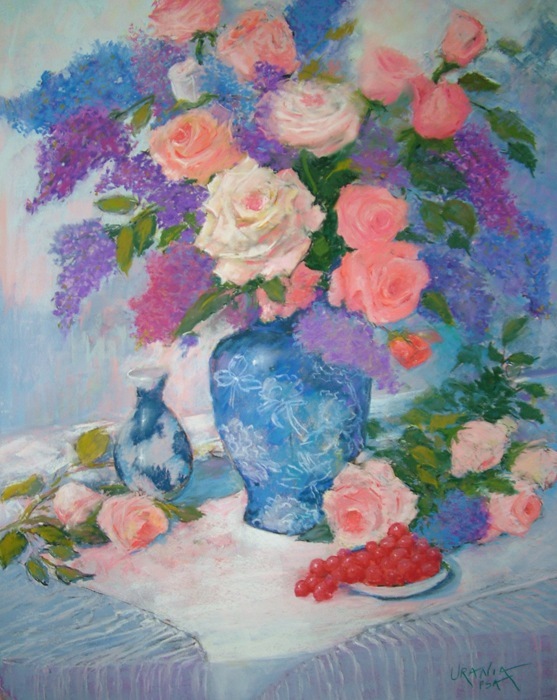 Having founded IAPS, and knowing the work that went into it, I recognize that it is a brave and time consuming move; to take time out from her professional career and record, in course form, all she knows about pastel in all forms and genres – the knowledge gained over 45 years of professionally using pastel and 25 years of actually teaching it. So the Academy mission is; to aide pastel artists obtain their goals and dreams to obtain a more professional standing in the world of art. By doing so we honor all of the great pastelists , both the past and future. Heather, I praise you for your willingness to share with others and I wish you all the best the world has to offer you in your artistic life. Join the Pastel Academy List Now! Add Me to Your List! ! Like Many of the Best Ideas – this one was amazingly simple but took a time to develop. 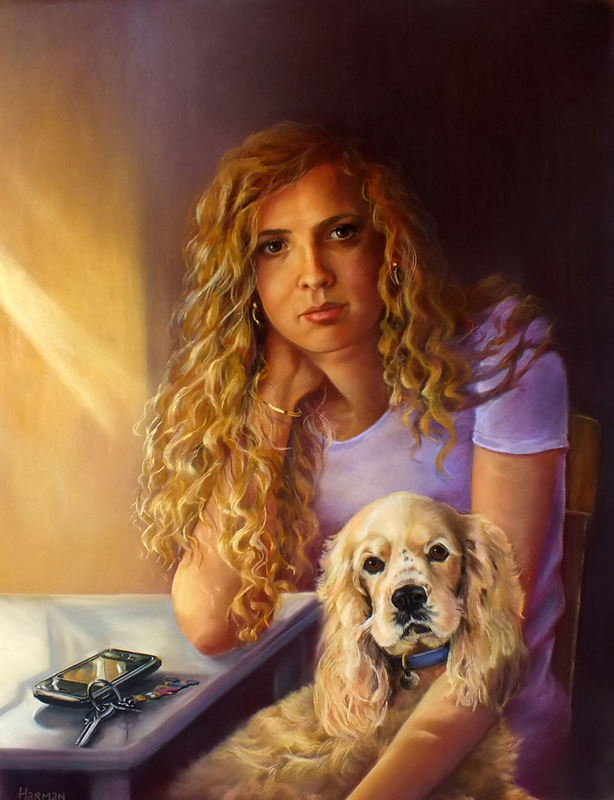 As a painting artist: I have been a commissioned portrait artist since my teenage years, and a landscape artist for almost as long. 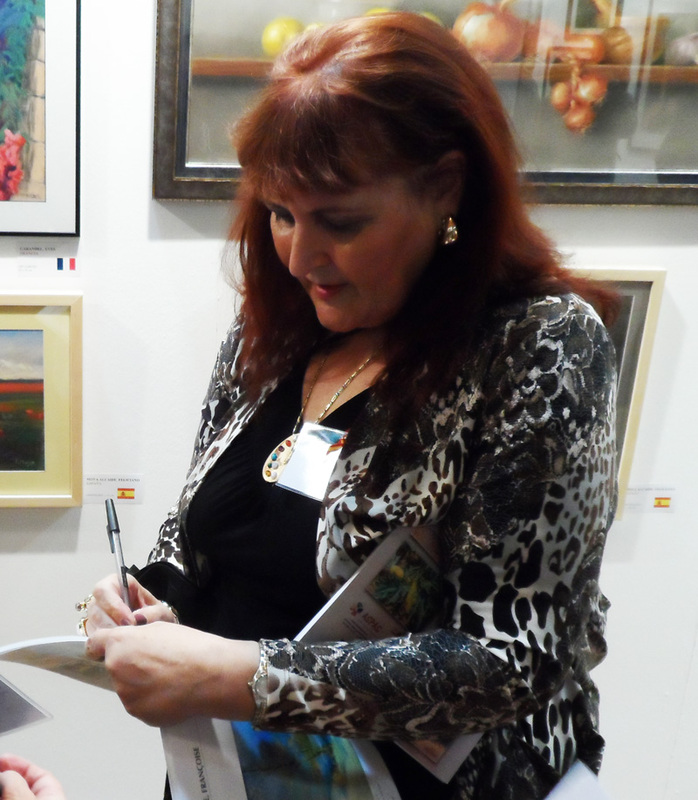 A Marketing/Sponsorship Background: My marketing interests developed prior to my returning to university as a mature student, and my experience as a portrait artist in the music, entertainments, sports and theater industries led to some fascinating contracts and sponsorship experience. All this being an interesting compliment to my work as a painter; some great experiences and even greater stories! A Tutor of Art; my enduring and continuing passion. ‘The wonderful enduring medium of pastel is both enjoying a recent resurgence of interest and popularity, and also in equal measure, suffering a lack of tuition opportunities in many parts of the painting world.’ I have often been asked, why does this fact bother me so much? Because I have dedicated my creative artistic life to this medium; and that is a lot of years. Yes, I paint also in oil and watercolour, but for me they cant match pastel. I strongly believe in it and that it is the best medium to learn how to draw/paint; and it has given me a good career and a recognised name, and so it is time to give back in some way to the medium that has kept my creative inspiration so high for so long. 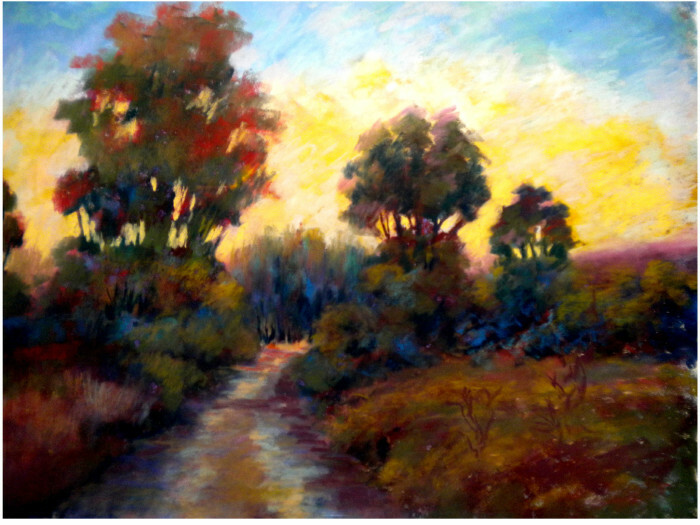 Couple that with the fact that I am a tutor and as such I have a pretty unusual base of experience in the pastel community; I have taught the medium for over 20 years in residential colleges in the UK for many weeks every year. I had waiting lists for most of these courses, and enrollees have traveled worldwide to get a place on my Portrait in Sanguine (Trois Crayons) courses. Pastel is not on the curriculum in colleges/universities generally, so what I (and a handful of other tutors) were doing for so many years in the 90’s was pretty unusual in pastel; where tuition more often than not comes via a ‘workshop.’ Complete courses – week long and longer – with full lecture evening programs, are rather more intensive than a workshop. Without the travelling and – often – considerable cost, and that can be over a weekend, or even a day; (which unless you live nearby the cost sometimes cant be justified for one day). To provide access to a growing resource of courses and information about pastel, (drawing and painting). To provide a back up resource of fundamental information in the form of drawing/sketching and painting basics. To provide a supportive community to learn and grow. But to be able to take on this venture, I have had to make the decision to put my own work on the back boiler for the time it takes to get the Academy up and working. It is going to grow over time. It will in fact never be ‘finished’ as such because the nature of a library or a knowledge base is such that it will always evolve and change and develop, but the major considerations will be how The Academy will benefit learners. It is going to be quite a journey!